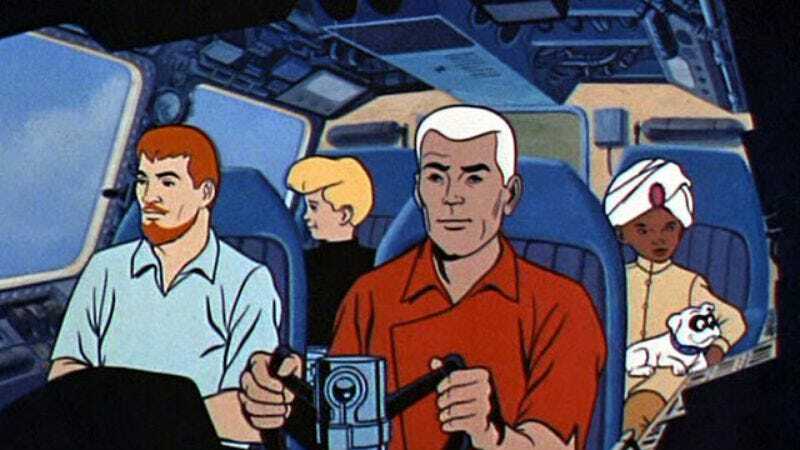 Back in May, we reported that Robert Rodriguez had signed on to direct and co-write the script for a live-action Jonny Quest movie that—at the time—we didn’t know anything about. However, based on Rodriguez’s other work, we figured it’d either be a stylish bloodbath or a colorful party that the whole family could enjoy. Now it appears that Rodriguez is shooting for something in the middle. That comes from producer Adrian Askarieh, who sat down with Collider while promoting Hitman: Agent 47. He says that the latest draft of the script isn’t done yet, but everyone involved is hoping to make the movie PG-13. He says it won’t be “a kiddie action-adventure movie,” it’ll be “an action-adventure that happens to have a 12-year-old in it,” a 12-year-old who, of course, wouldn’t be able to see the movie without his father or bodyguard. Askarieh also says this movie will be based on the original Jonny Quest TV show from the ’60s, not the less-violent reboot from ’80s or the CG-filled reboot from the ’90s. That also means it will most likely focus on the original group of characters—Jonny, Hadji, Race Bannon, Benton Quest, and Bandit the dog—and not any of the later additions, like Hardrock or Jessie Bannon.